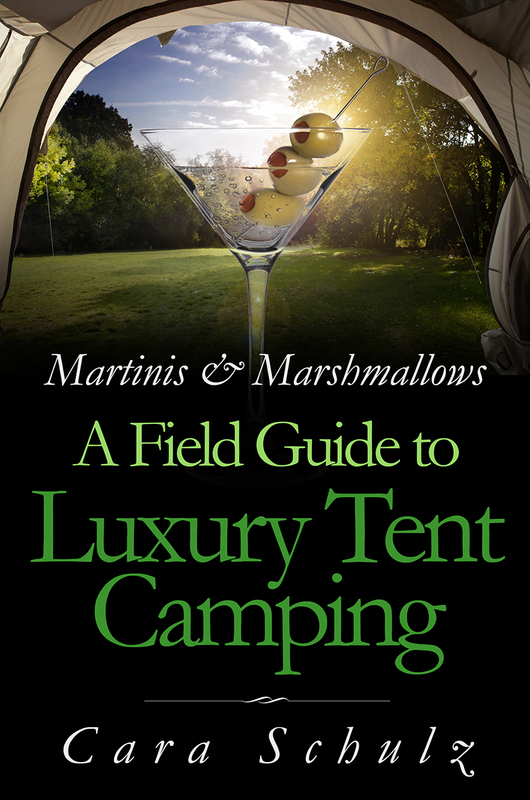 First review of “Martinis & Marshmallows: A Field Guide to Luxury Tent #Camping” is in! The print version of my glamping book is slowly making its way to my Kickstarter Backers – they were sent to me in small boxes 10 at a time spread out over a 2 week period – weird. It’s been fun to see people post on social media as they receive the book in the mail. The ebook version has already been emailed out to all Backers, so if you didn’t see it, please check your SPAM folder! The book is on sale at Amazon and customers are starting to order it. I’ve been on pins and needles wondering what the reaction will be. Will they think it was worth backing? Was it worth the wait? Is it helpful? What will they say? Arghhh…the insecurities that devil authors. Or at least, this author. I just received my first review of the book on Amazon, and I’m really surprised. It appears the person bought the book as something of a joke. What a great review! I’m really pleased that they liked the book and found found it useful. Hopefully more people give my book a try and find it helpful and fun to read. What more can an author ask for? ← Welcome RV & Camping Show Attendees!